Thank you for visiting and shopping at Purposeful Planning. All orders are processed within 3-5 business days. Orders are not shipped or delivered on weekends or holidays. If we are experiencing a high volume of orders, shipments may be delayed by a few days. Please allow additional days in transit for delivery. If there will be a significant delay in shipment of your order, we will contact you via email or telephone. 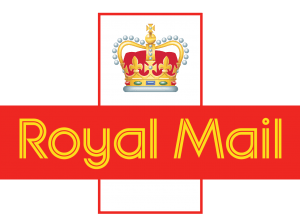 If you do not know where your order is please contact us and we will try to assist you and find out if your parcel is at your local post office depot. Shipping charges for your order will be calculated and displayed at the checkout. Parcels will be shipped out First Class Signed For. Delivery delays can occasionally occur and are out of our hands but we will try to help you where possible. You will receive a Shipment Confirmation ‘Order Complete’ email once your order has shipped. Purposeful Planning is not liable for any products damaged or lost during shipping. We do try avoid any damages caused in transit by using a cellophane bag to put our planners in followed by a padded envelope and a fragile please handle with care sticker. If you received your order damaged, please contact Royal Mail to file a claim. Please save all packaging materials and damaged goods before filing a claim. Please email us to see if we can post your order to your country of residence. This is not a guaranteed sale. If International Shipping is possible we will send you an invoice via Paypal. Once paid we will ship your order and send you a confirmation of posting email or via the contact method you have used with us. When ordering goods from our site for delivery overseas you may be subject to additional import duties and taxes, which are levied once the order reaches the specified destination. If you have any questions, please contact us at info@purposefulplanning.co.uk or use our Contact Us form.